So everyone is playing the hotly anticipated new release from Rockstar Games – Red Dead Redemption 2 and from what I’ve played so far I can see that this game is a masterpiece. Is it any wonder that our industry makes more money than the film industry? 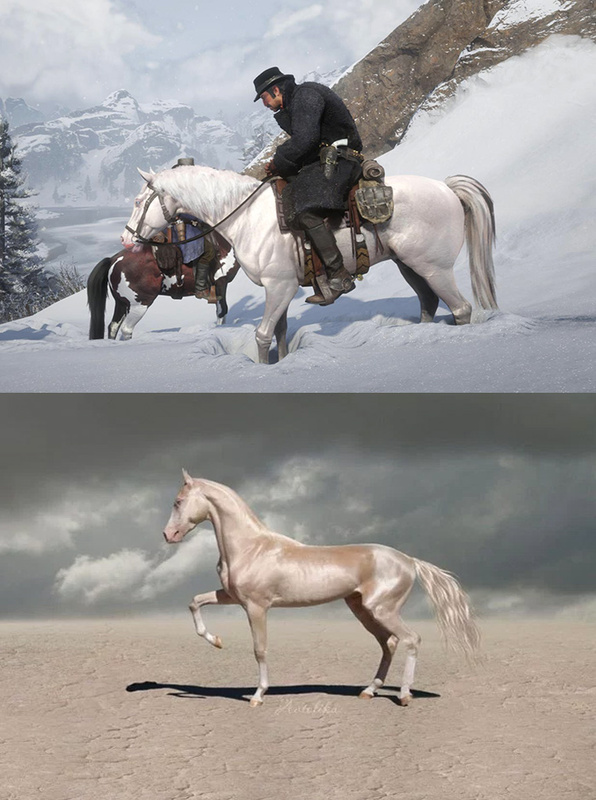 But it is Dutch’s horse that seems to have captured the World’s imagination, from the moment I saw it I knew its breed.. The Akhal Teke or Turkoman, one of the most beautiful horse breeds due to its metallic shimmery fur. The Akhal-Teke is a breed from Turkmenistan, where they are a national emblem. They have a reputation for speed and endurance, intelligence, and a distinctive metallic sheen. The shiny coat of palominos and buckskins led to their nickname “Golden Horses”. These horses are adapted to severe climatic conditions and are thought to be one of the oldest existing horse breeds.